Summer time is approaching and most of the woman would be seen on beaches trying to get their bodies tanned. The rays, which come out of the sun, are very harmful and can cause to the skin cancer. Everybody wishes to get a tanned skin tone during the summers, and if the natural and artificial methods of getting your skin tanned do pose a problem then what should be done? Bronzer is the answer to it. Bronzer when applied on the face properly gives the skin a tanned look. The dark color of the skin, which was the result of sun tanning, can be obtained by applying it on the face. It should be applied properly so that it looks like you have got the sun-kissed skin or else it can look very cakey. Keep in mind that you have to apply it on the cheeks, nose, forehead and chin. Don’t apply on all over the face. Different types of bronzers are available in the market and you can choose any according to your skin type. 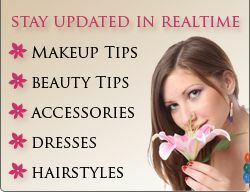 Powder bronzer, cream bronzer and liquid bronzer are the types among which selection can be done. Powder bronzer is a good option if you have oily skin. Cream, gel or liquid bronzers are good options for dry skin. Applying bronzer on the face is very simple. Foundation and concealer should be applied in a normal manner. For the ones who have oily skin, dab some loose powder after concealer is applied so that when you apply bronzer it doesn’t shine out much. Powder bronzers should be applied with a brush and the cream/liquid bronzers are to be applied with the fingers. Make sure that you blend bronzer properly with the skin. After applying bronzer, if you think that it looks like that you have over done it then wipe off the excess with a cotton pad. 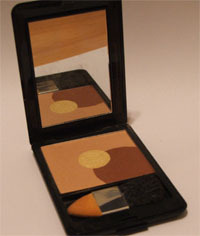 Different shades for bronzers according to the skin color are available in the market. If you have fair skin, then you should select pink/peach bronzer or any other light colored bronzer. Darker shades for bronzers/Orange bronzer are good for ones who have dark skin tone. Select a bronzer, which is one or two tone darker than your skin tone. Apply the bronzer by standing in sunlight so that you can see the effect, which the bronzer leaves on the face. After bronzer has been applied, you can apply blush to give your face a natural look. Choose some good pink/plum blush and apply on the cheeks properly. If applied properly, the bronzer can give you a tanned look for your face. Choose bronzer according to your skin type and skin color and then at last apply blush to look more beautiful. After applying bronzer, the skin color darkens a bit and therefore you should keep in mind that the colors of your other makeup products should be light.